Blend the blueberries in a food processor or blender on high speed until nearly liquified into a smoothie-like consistency. Pour the thick blueberry liquid into a large bowl. Stir in the agave/honey. Add the yogurt and very gently mix everything together. 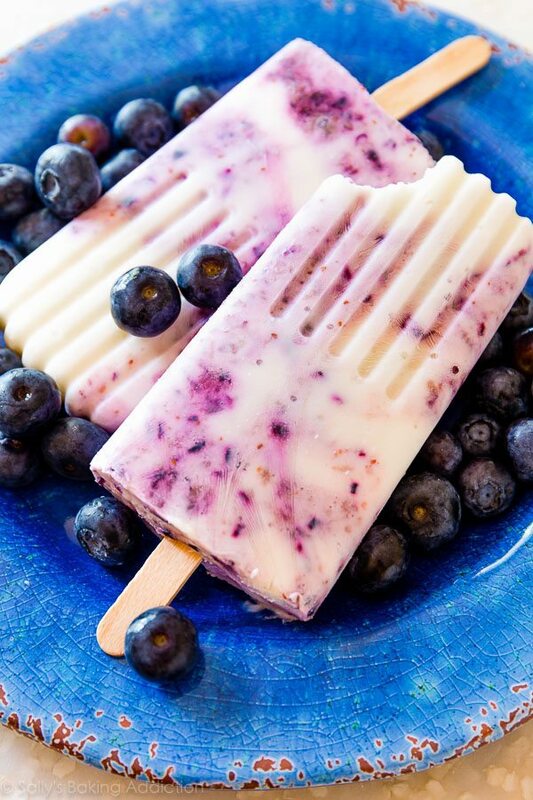 If you want a tie-dye, swirly look to your popsicles– do not fully blend the yogurt and blueberries. You want those patches of white and blue. The mixture will be thick. Taste it. If you want it sweeter, you can add a little more agave/honey. Pour mixture evenly into each popsicle mold. If your popsicle mold has slots for sticks, you can insert them before freezing – if not, freeze for 2 hours, then put a wooden popsicle stick in the middle (that is what I did). Continue to freeze for an additional 4-6 hours or overnight. Run popsicle molds under warm water to easily remove. Eat on a hot day. Enjoy!